Happy New Year! 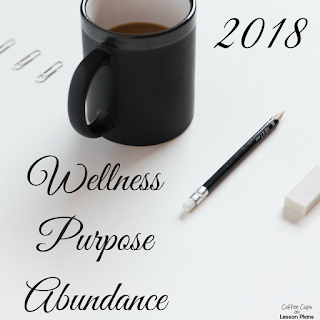 Welcome 2018: A Year of Wellness, Purpose, and Abundance! Happy New Year friends! Welcome to 2018!! Have you made your New Years Resolutions yet? Have you broken them yet? <LOL> I LOVE the start of a new year! As teachers we get to have a fresh start twice, and it's a wonderful feeling to know I can start another semester of school next week with fresh eyes, and a rested mind, body and spirit! I'll be the first to admit that I'm horrible at making resolutions.. well making them is the easy part, it's keeping them that I always have trouble with! 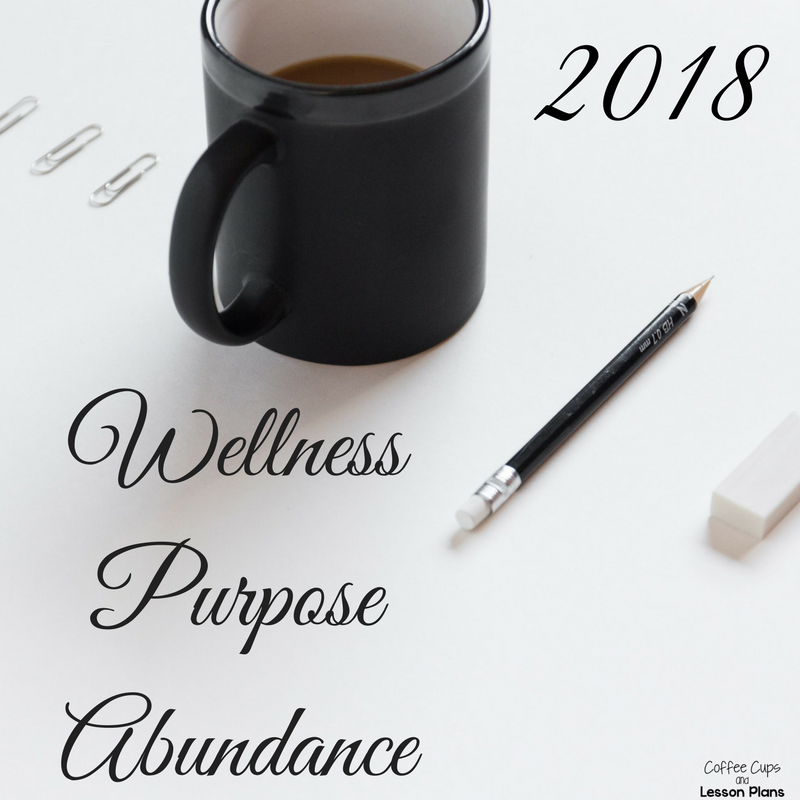 So this year, I've resolved to focus on 3 things: Wellness, Purpose, and Abundance! I"m going to start by just making a few changes to my lifestyle. I know myself well enough to know that if I try to do too many things, I won't DO any of them. 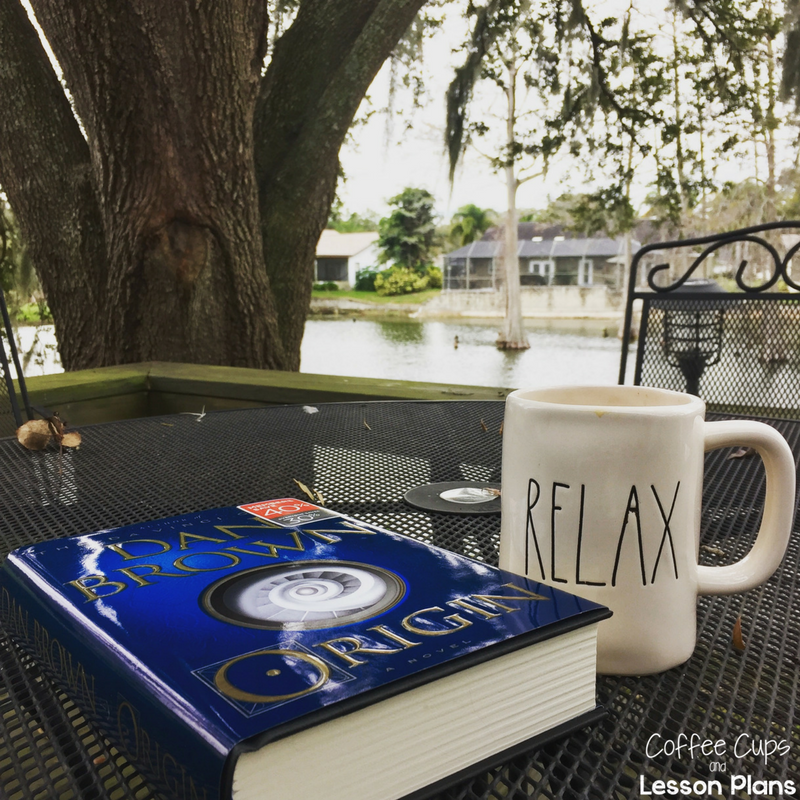 I am an awesome planner, but sometimes I get overwhelmed by my plans, and then well, I don't do any of them. Anyone else do that too? We should make a TRIBE! 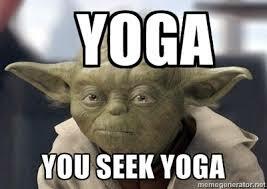 1) Going to a yoga class once a week. I'm hoping I can up the ante on this after a month or so and make it twice a week, but baby steps for me tend to turn into bigger leaps down the road, so once a week is the plan at the moment. I'm making this blog my accountability piece, so once a month I'm going to post about my progress and focus. 2) Getting my steps in each day. My goal is to get between 8,000 - 10,000 steps in each day. I've been a huge slacker in monitoring my steps, but my mom just gave me her Fitbit tracker when she got an Apple Watch (Yes, the jealousy is real), so I'm going to hold myself a little more accountable. 3) Staying above the Wellness line and taking my vitamins and supplements daily. Right now I am loving a new supplement I just tried called Ningxia Red. It is made with wolfberries, plums, cherries, and tons of other things to keep me healthy. It's all natural and so yummy. I drink 1-2oz a day, either straight or added to my morning smoothie, and I know I am doing the best for my health. I also take a Super B vitamin about half way through the day. Ain't no tired like afternoon teacher tired... am I right? Taking the Vitamin B at lunchtime gives me the energy to keep up with my teens and their activities in the evenings. Otherwise, I'm toast by 6:00 and I want to #watchallthetelevision. Since couch potato is NOT in my wellness plan, Super B is going to stay my go-to energy supplier! I'll be honest, I haven't quite got this one figured out yet. I want to continue to help my parents, friends, and family in any way possible. I want to find a church where I leave every week with a message to meditate on. I want to continue teaching my students, but I'm thinking there might be something bigger in my future. Maybe a coaching position, or something where I can help teachers be better educators as well. I want to coach people not only about teaching but about living a full life. I'm not 100% sure about this, but I know that if I have faith... I will also have answers. 2018 is going to be a year of ABUNDANCE! Not just financial abundance... because hey, we could all use a little bit more of that am I right? But of an abundance of patience, kindness, and SELF-CARE! I want to be like Oprah... and you get some.... and you get some.... and you get some......, but not at the stake of my own wellness and financial peace, and that is what I tended to do in the past. I want abundance for myself and others. I want the people around me to have full hearts. I know this starts with what I put out into the world, and I only have that control over myself. So I'm ready 2018... ready to hitch up my Big Girl Pants and tackle what you have to offer! Anyone else ready to DREAM BIG this year? Anyone ready to create a tribe for people to be accountable? As I said earlier, I'm going to make this blog part of my accountability board, so feel free to comment and let me know how you are doing on your goals. Let's make 2018 a great year, by being supportive of each other!